Leveraging the skills of our qualified team of professionals, we are engaged in providing Metallic Silver Powder. Oxygen content (Hydrogen Loss)-0.5 % Max. 24 Carat gold ash powder for the use of pharmaceuticals & cosmetic manufacturers. 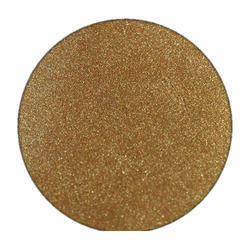 Pale Gold lining Powder is a mid shade bronze powder. Availability in highest purity and smallest possible grain size results into a unique product. It used in Spray painting, screen Printing etc. With the help of our expert team members, we have been able to provide Gold Powder. We are highly acknowledged organization engaged in presenting a remarkable range of Gold Powder. Supported ourselves with a dexterous amenities, we are thoroughly instrumental in offering an all-inclusive variety of Golden Powder. We are one of the top most companies offering Pearl Gold Powder which are used for stone cutting tools & diamond tools and sintering machine. These are widely appreciated for top quality and available in gold color. 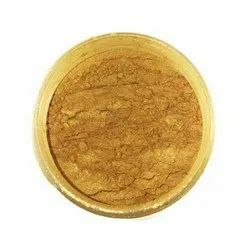 GOLD BRONZE POWDER used for dectorative painting on metals, textiles, etc..